We cannot be happier that we selected Paradise Hills for our wedding. 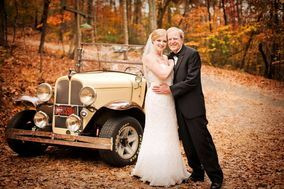 Bob and Ilke were wonderful to work with even from afar as we live 2+ hours from the resort, and they executed a flawless wedding ceremony and reception. We rented out the cabins on the grounds for our guests and everyone couldn't stop raving about the weekend. The cabins were AMAZING and allowed our special day to be a whole weekend. The morning of our wedding we actually went to visit a local waterfall! The winery itself is beautiful and provided the perfect location to marry my best friend. The wine was enjoyed by all, along with the beer on tap! We would highly recommend this location to others. However, I would not recommend the photographer or reverend that can be provided. I was not as pleased with their service and the photography was a real let down. BUT, that wasn't on Bob and Ilke, they and their staff were on point! Go visit and see for yourself!! I was very pleased with the results for our destination wedding. The decorations were exactly what I was hoping for. Our guests enjoyed their stay on property.